Palo Santo: What’s the Deal With This Mystical and Sacred (and Trendy) Wood? Palo Santo is the perfect starting point for people interested in energy clearing or doing energy work. Energy cleansing is a big deal these days. 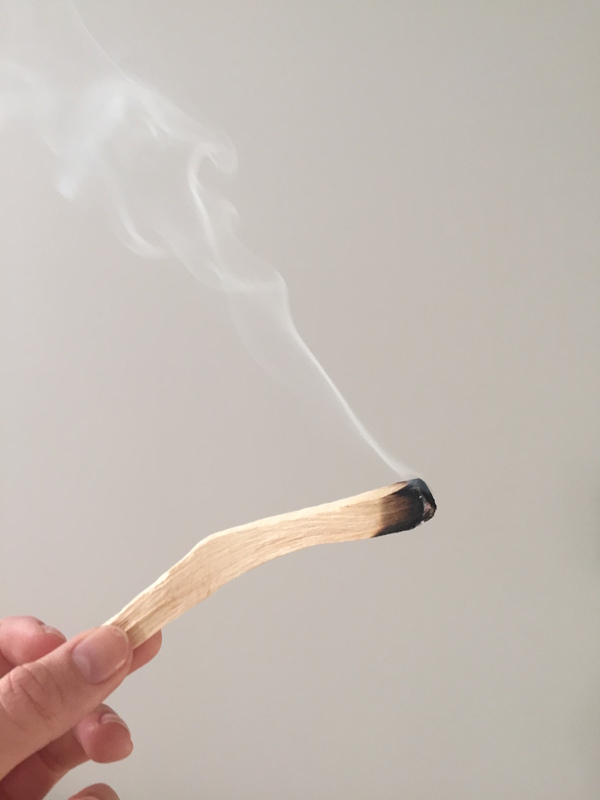 So many people, including Mary-Kate and Ashley Olson literally ‘can’t stop smudging.’ Negative vibes are abundant, and the popularity of smudging really speaks to our need to protect our own energy fields in these hectic times. For people who don’t know what it is, smudging and other forms of energy cleansing are a way to clean your space, energetically and spiritually. It’s an energetic way to set an intention, or simply move out the old, and welcome in the new. My, and many other energy-sensitive-peeps’, favourite tool for energy cleansing right now is Palo Santo. This is simply wood from a Bursera graveolens tree, which is native to South America and considered sacred (the name Palo Santo means, in Spanish, ‘holy wood’). The Incas were said to have used it in sacred ceremonies to cleanse people of negative energy and illnesses, and also, to inspire creativity and bring about a deeper connection to the divine source. That this ancient ritual made it’s way into popular wellness culture isn’t really surprising – on a user-level, it’s really easy to love. The tree is part of the citrus family, so when burned, Palo Santo smells like pine, mint, and lemon, which is super uplifting. It’s small and portable, it burns fairly clean, and also pretty cheap in metaphysical or health stores (or our store.) Try it once, and you’ll be hooked, I say. Palo Santo is probably the perfect starting point for people interested in energy clearing or doing energy work. It’s simple to use and doesn’t require anything more than a lighter. Set your intention, and go forth and cleanse! Kait is a Toronto-based writer.